Nature-inspired ornaments are the perfect traditional holiday decor. 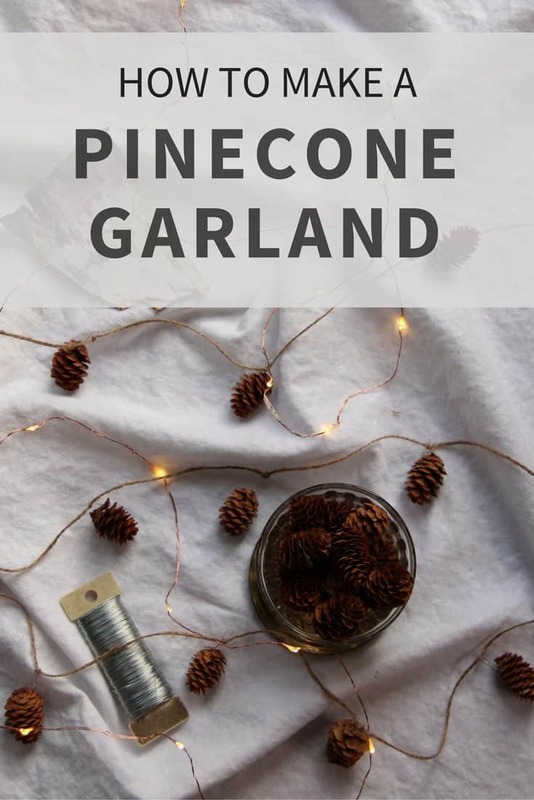 This easy DIY pinecone garland is a simple way to bring a little bit of nature into your home during the Christmas season. It’s quick to make and looks lovely hung on a plain wall or the Christmas tree. For this pinecone garland, you can use whatever kind of cones you have access to. I chose hemlock cones because we had lots and they are mini and adorable (plus not too messy to work with). Check the woods if you don’t have conifer trees in your back yard. You don’t need too many pinecones. Part of the charm of this garland is the simplicity. 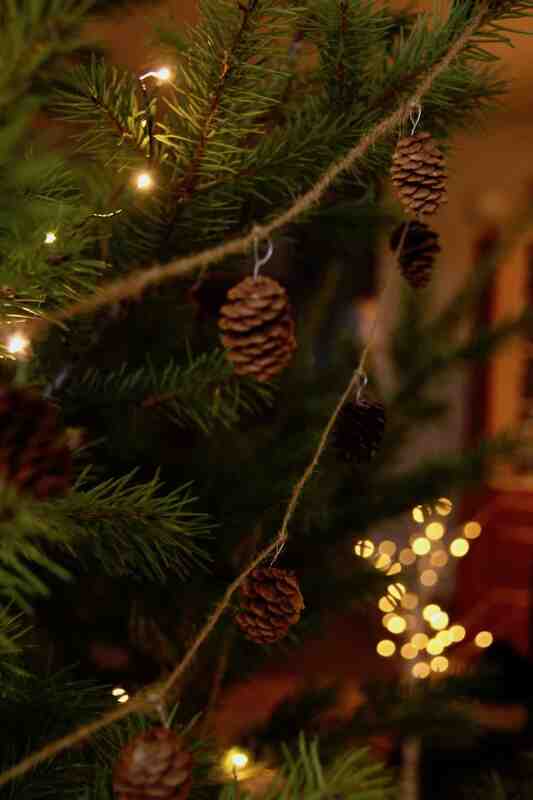 If you don’t have access to your own conifer cones, it’s possible to buy them online or at craft stores. You can get bags of adorable mini hemlock cones online at Amazon. The difference between this garland and other garland tutorials is that this garland does not use hot glue. Hot glue can be a bit messy to work with. Decorations made with hot glue also don’t last as long as decorations made with wire. The supplies/glue can tend to get brittle and break, whereas wire stays flexible year after year. Measure out a length of twine to fit your desired space. Be sure to leave 6″ extra on either end of the measured length to tie a loop later. 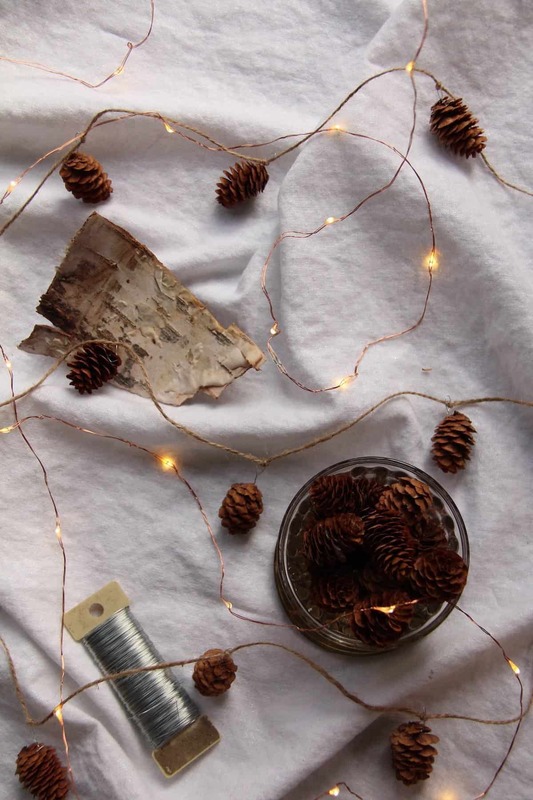 Place a few pinecones along the length of the twine to decide how close your pinecones should be. I placed my little hemlock cones about 10 cm apart. Once you know how far apart your cones should be, calculate how many cones you’ll need (length of twine divided by the distance apart). 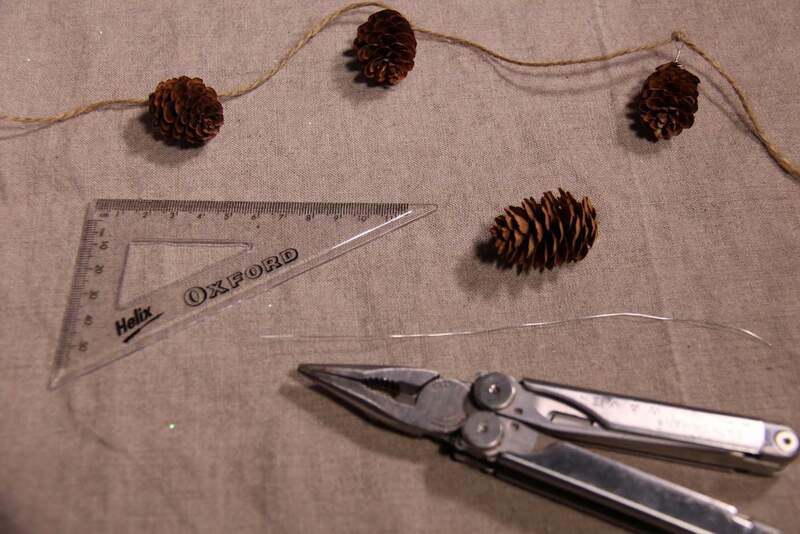 Cut a length of floral wire for each pinecone to be added to the garland. I cut a piece of wire about 20 cm long for each cone. Twist the wire in the middle to create a loop in the centre of the wire. Make a few additional twists to secure the loop. 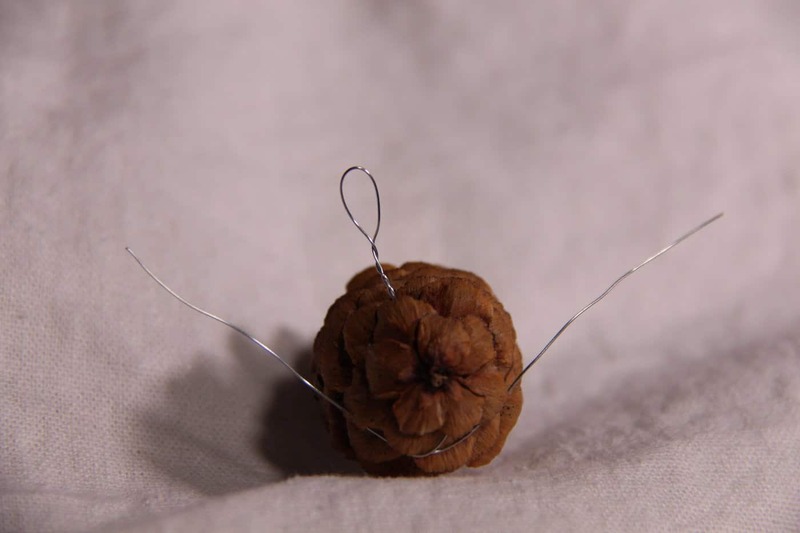 Place each end of the wire between two layers at the top end of the pinecone. Twist the wire around the cone, hiding the wire in between the pinecone’s layers. Use the pliers to push the ends of the floral wire into the cone so the sharp ends don’t stick out. 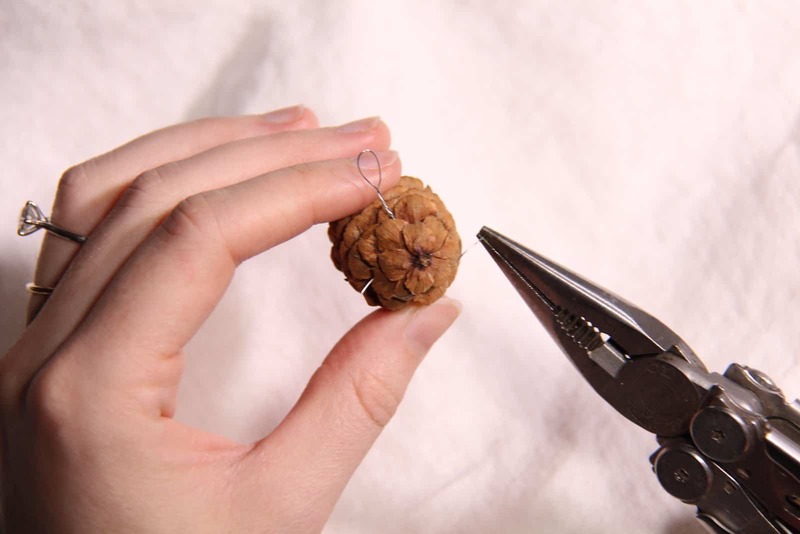 Once the wire is properly attached to the cone, gently bend the loop upwards so that the pinecone will hang vertically/straight. 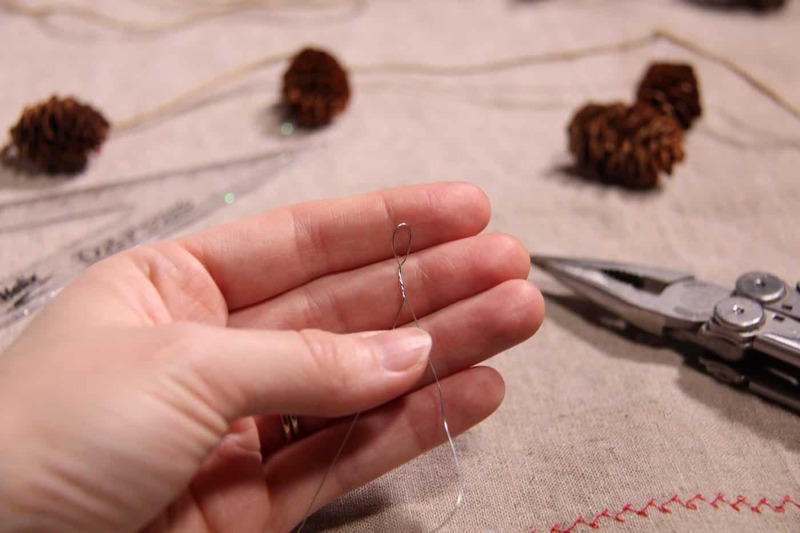 Use pliers to push sharp ends of floral wire into the cone so they don’t stick out. Repeat the steps above for all the cones you’ll need for your garland. Tie a loop in the far end of the twine. 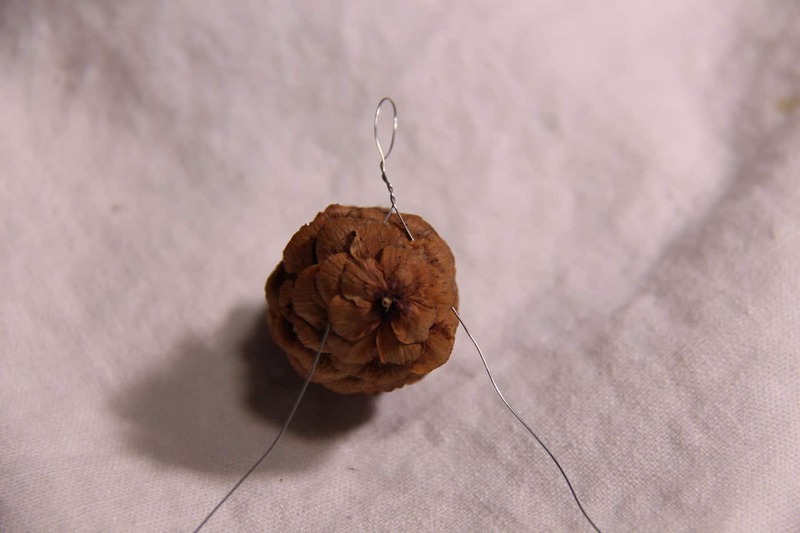 String the first pinecone onto the twine by placing the twine through the wire loop. 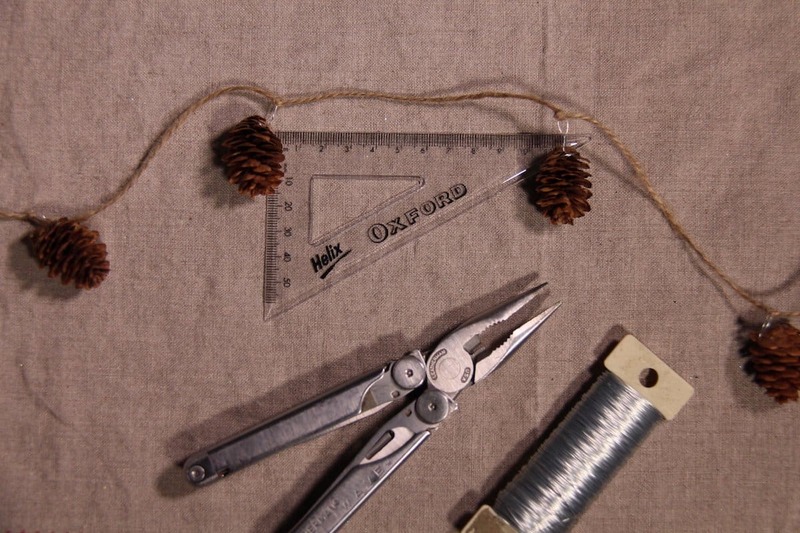 Place the pinecone near end of the twine, by the loop you’ve tied at the far end of the string. Tie the first pinecone onto the twine by looping the twine over itself and tying a knot in the twine. Place the remaining cones on the string one by one, using the ruler to measure the distance between the cones and tying each cone on as you go. Once all cones are tied on, tie a loop in the other end of the garland to finish it off. Hang your garland on the tree, on the mantle, on a wall, or wherever you like! Making this project later? Pin it! 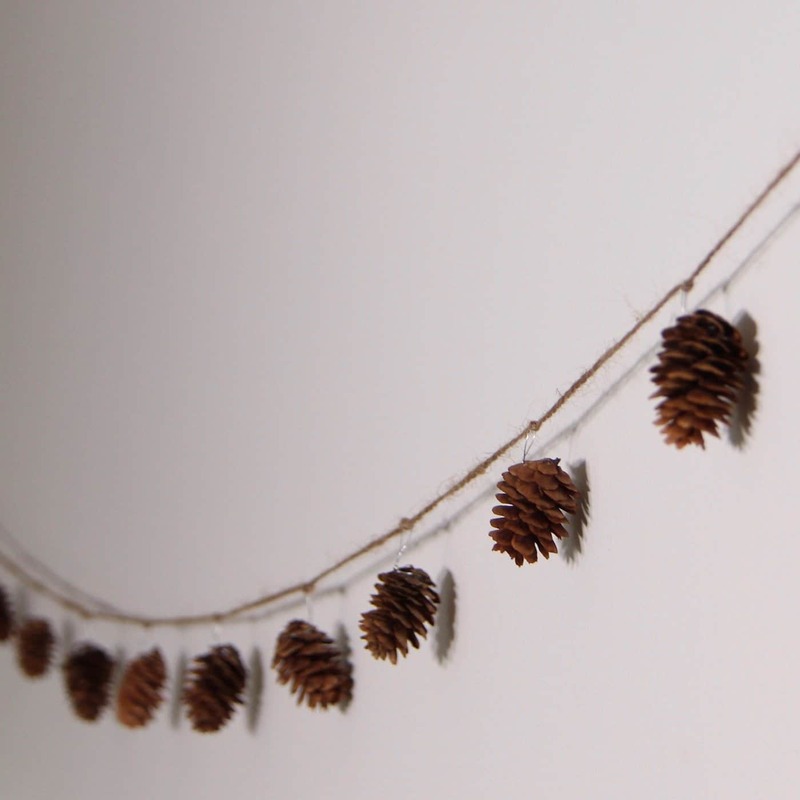 Have you tried making this pinecone garland? What are your favourite nature-inspired holiday crafts? Share your stories and questions in the comments below! This is a lovely garland! I never would have thought of using wire. I’ve seen these garlands before but they use glue, and it doesn’t last past one season. Wire is a much better idea! Thank you very much! So true that wire will last much longer. I really appreciate the feedback!